Find Your Path & Purpose. Make a Difference Doing Work You Love. Thank you for your interest in our PATHFINDING program. It’s our intention to get you crystal clear on your unique path and purpose and to empower you to move forward with clarity, confidence, and inspiration. You have precious and important gifts that the world needs, and it’s our mission to help you find what those are and how to express them through your work so that you can make a difference, doing work you love. Just want to find an inspired career path that brings you good money and allows you to thrive. That you could feel more inspired in your professional life, while simultaneously feeling stable and secure, knowing that you can generate an abundant income no matter what kind of upheaval is going on in the world around you. That you could be completely and utterly in love with your working life and feel like jumping out of bed each morning to get started. That you could fully express your unique gifts and talents in a way that feels joyful, meaningful, impactful and fun! That you could make a positive difference while doing work you love – and make great money doing it. That you could just find your purpose and get on with it. If that sounds like you, then the PATHFINDING program is perfect for you! We’re passionate about helping you discover your personal truth and to step into your full power so that you can make the impact you’re here to make. 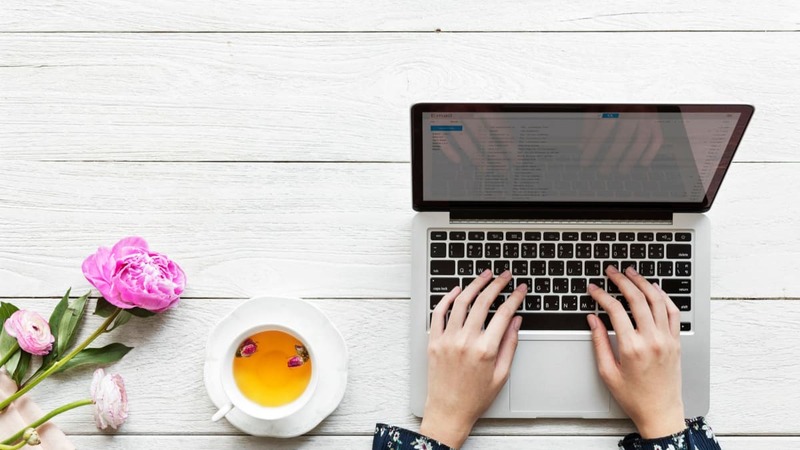 In order to experience genuine and lasting happiness and fulfillment in your work, it’s essential that you find a way to integrate these four critical elements into your working life. Your Purpose is the path or vocation that allows you to express yourself fully and to contribute your unique gifts in service to something you care about while making a positive difference and earning you an abundant, reliable income. What is your true nature? Who are you when you’re being your true, authentic self fully? What are the environments that allow you to thrive and be your best self? What is the unique impact you feel called to make? These are the kinds of questions you’ll be getting answers to. We’ll be taking a look at your unique personality through the lens of three different (and powerful) personality tests that help you generate a deep level of self-awareness, which is critical to being able to find your purpose. Everyone has their own unique ‘Zone of Genius’ composed of particular combinations of strengths. There are certain things that you do easily and effortlessly at a high level of competence. Perhaps they come so easily to you that you’re not even aware that others struggle with them. We’ll be getting you clear on your unique strengths through the use of a variety of different strengths tests and exercises designed to clarify the strengths that compose your Zone of Genius. Passion is the rocket fuel that keeps you feeling inspired and fulfilled, even during the tough times. Without passion, it’s easy to give up or get distracted. You may feel as though you have many different passions and you’re not sure which one to focus on. Or perhaps you haven’t yet found what you’re truly passionate about. The techniques we use in this course will help you identify and articulate your passion, and they will also help you figure out how to weave your passion into your professional life in a way that feels deeply satisfying and allows you to thrive financially. Vocation is the place where your deep gladness meets the world’s deep need. When you find something that the world deeply needs, you’ll inevitably make great money. We’ll help you find a way to use your unique skills and gifts in a way that meets a societal need, and as a result, gives you the ability to earn great money, which is critical to your ability to thrive and make the impact you desire. What’s Involved in the Pathfinding Program? Pathfinding is an 8-week journey of self-discovery that includes two private 60-90 minute coaching sessions with Kate to get you crystal clear on your purpose. You’ll be invited to engage in some deep self-reflection through the completion of three cutting-edge workbooks designed to help you identify the 4 P’s of your Purpose shown above. We then work together to develop a robust plan of inspired and focused action that allows you to plan, build and thrive in a professional life you love. Three high-quality, customised workbooks to help you uncover the different pieces of your purpose – your Personality, your Proficiency (strengths), your Passion, and your potential to make Profit (reliable and abundant income). 3 Personality Tests (the Enneagram, DISC Profile, and your Myers-Briggs type). 2 x Private Coaching Sessions to consolidate all your findings and get your clear. We will meet in person if possible, or otherwise in Kate’s online Zoom meeting room. Priority E-mail and Messenger access to Kate during the four-week period. After your private sessions are complete, you can still reach out for a two week period to seek help with anything that comes up for you as you integrate everything you’ve discovered on your journey. Below are the three main workbooks you’ll be working through during our time together. 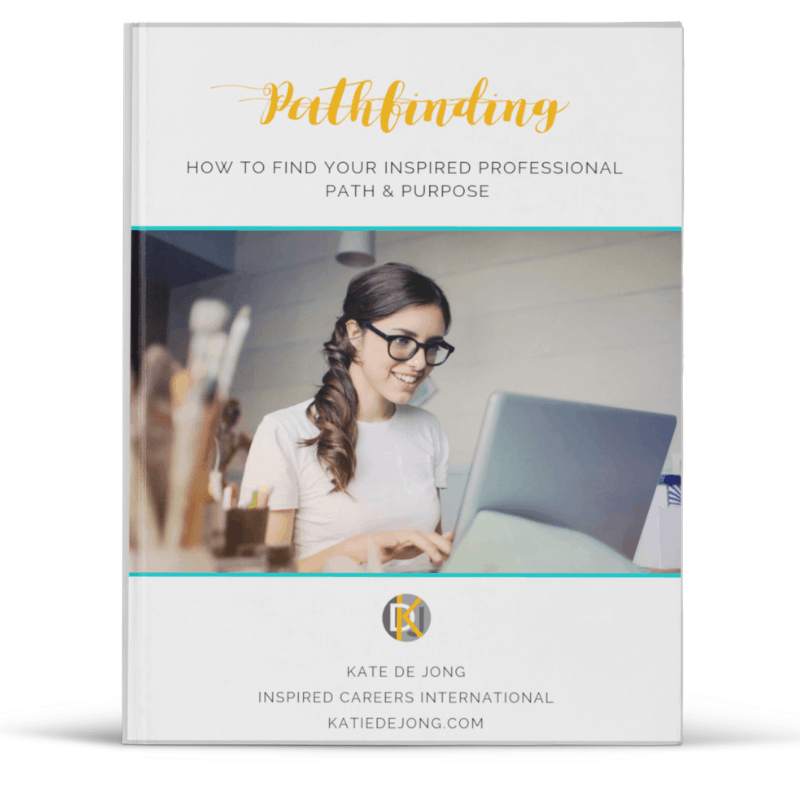 Pathfinding: How to Find Your Inspired Professional Path & Purpose. Get yourself a beautiful notebook and capture any thoughts, reflections, or ideas that come up as you read through this E-Book. This E-Book is designed to get your reflective juices flowing and to start helping you recognise and weave together all the different threads of your life so far. Often, the most important clues to your purpose are hidden in the tapestry of events and experiences that have led you to this point today. The Happiness Key: Learn How to Become One of the Rare 10-15% of People Who Enjoy Genuine and Lasting Happiness, Fulfillment, and Success. The cultivation of deep self-awareness is critical in the quest to find your unique path and purpose. This workbook is designed to help you discover your unique personality from three different perspectives. 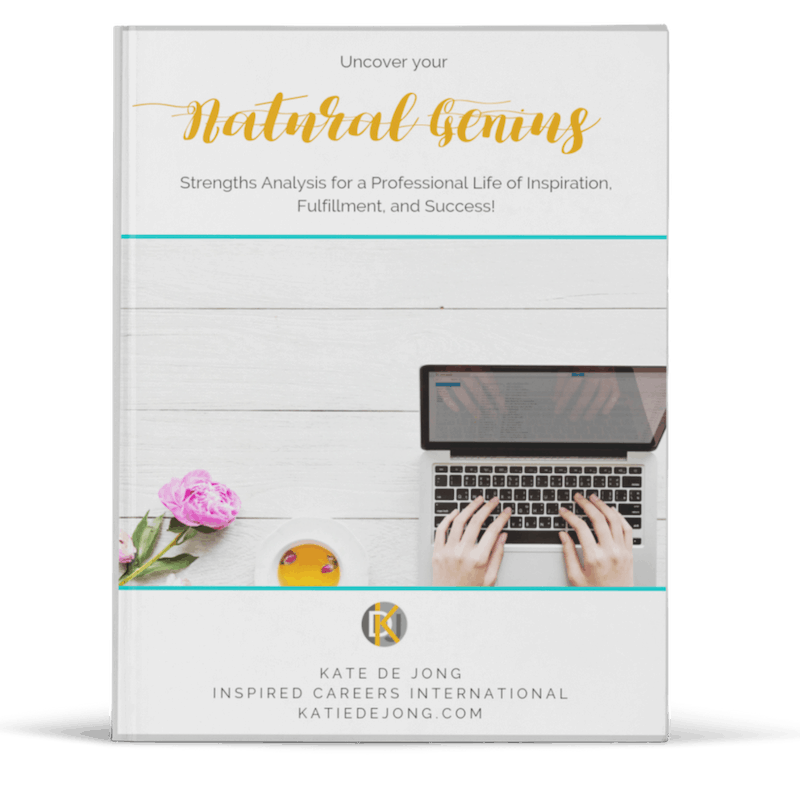 Uncover Your Natural Genius: Strengths Analysis for a Professional Life of Inspiration, Fulfillment, and Success! Knowing your own unique strengths intimately is essential to finding your unique path and purpose. As you’ll discover, strengths are more than just the things you’re good at. There are four critical qualities in a strength and once you find what yours are, you’ll be on your way to professional bliss! Your coaching package includes access to 1 x Gallup Strengths Test valued at $20 USD. 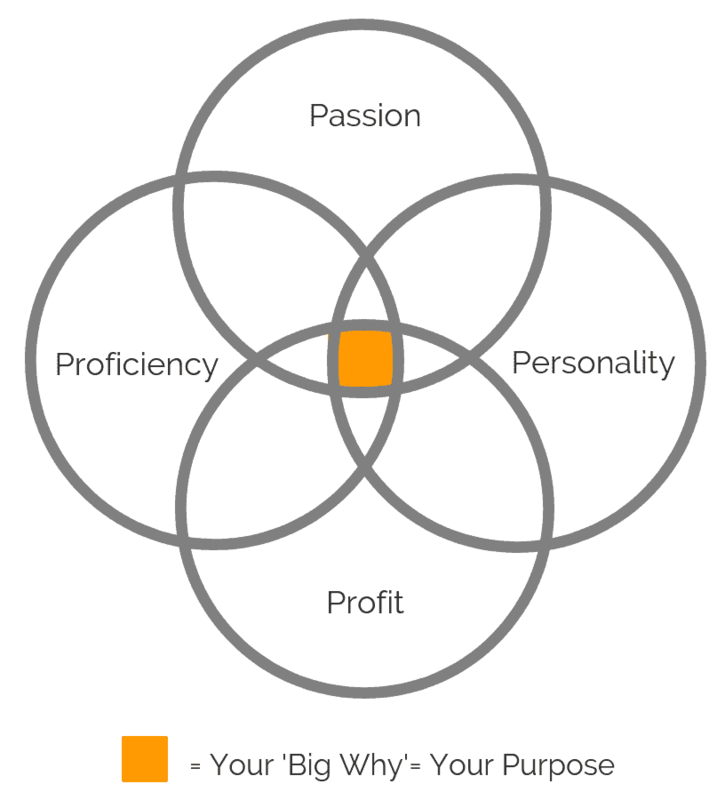 Passion is the essential ingredient that allows you to experience true fulfillment in your professional path. You might be passionate about many different things. But just because you’re passionate about something doesn’t mean that you should dedicate your professional vocation to it. There’s a definite art to finding your passion and what you want to be in service to through your work. In our private coaching session, I’ll be helping you to distill out the essence of your unique passion based on your answers to some poignant questions that are designed specifically for getting clarity in this important area. Why Am I So Passionate About Helping You Find Your Path & Purpose? Because I spent almost 15 years in a profession that was not authentically me. I was successfully climbing the academic and corporate ranks as an Environmental Engineer, ticking all the boxes of what I thought it meant to be ‘successful’. And while my career was rewarding and fulfilling on many levels, it also felt stressful and overwhelming. I felt constantly tired and empty. What I now know is that my profession wasn’t aligned with my natural strengths or my true nature, or my greatest passion. 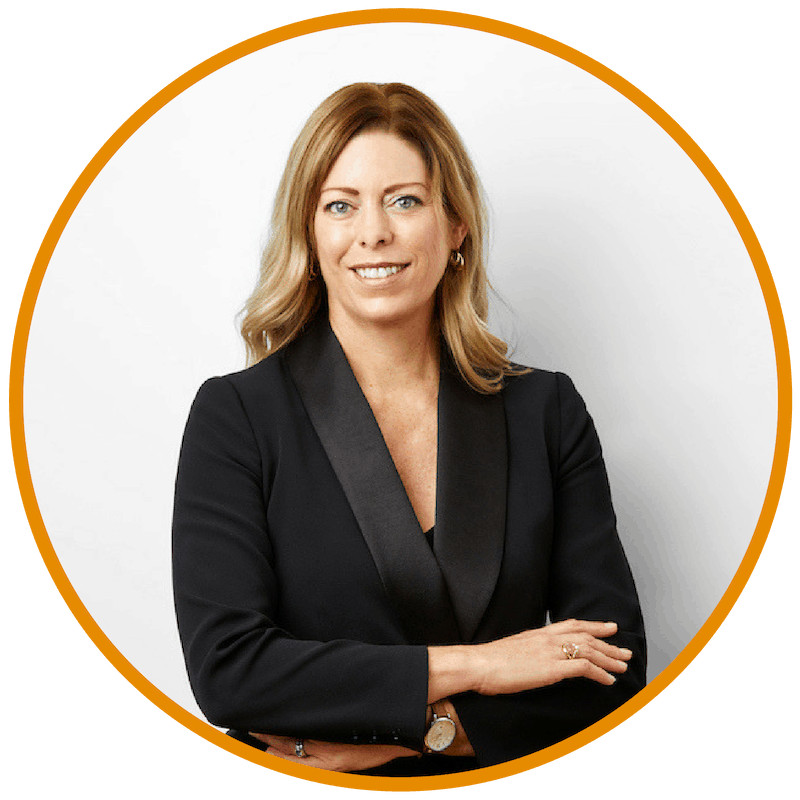 Since quitting my corporate career in 2011 to follow my love of coaching, I haven’t looked back and I now know how good it feels to be in complete alignment professionally, in tune with my own heart – and I want to help you find that exquisite feeling of professional alignment, inspiration, and freedom too! What Have Other Pathfinding Clients Been Saying? Kate’s program helped me by validating many thoughts and inklings that I had previously had regarding my professional path. I feel like I have been given permission to act on them now, rather than skulking in the fringes, thinking about the possibilities but being unsure about what to pursue and how to make things happen. The whole process was liberating through having your intuitive or inner-knowing made conscious. I really appreciated Kate’s approach – flexible, warm, non-judgemental, insightful. Kate’s program is of extremely high quality. It is well researched and coherent, and her approach to helping people find their professional path is unique! The workbooks are beautifully written and presented, and stuffed full of such useful information. I really enjoyed the unique multi-focus approach – rather than just ‘find your passion’ or ‘do what you love’ (which seems to be a catch-cry of many programs), her program acknowledges the importance of aligning this with your unique strengths, and a deep understanding of who you actually are – and then using this to meet the needs of others. I am excited to get on with making some plans and bringing them to life! What is it Costing You to Stay Stuck? More time spinning your wheels and feeling confused? More frustration and lack of focus? Let us help you get clear, confident, and focused now! If you’d like to take advantage of this wonderful offer, please take the time to complete a short (5 minute) application form to secure your spot by clicking on the button below. I will be reaching out to you within 24-48 hours to confirm we’re a good match and to get you on-boarded into the program. I’m so honoured and excited to work with you and I look forward to helping you find your purpose and start thriving!